· Prospective paramedic students in Michigan will need to hold a current EMT license. Most states recognize national certification, and will grant you a state license (likely with more paperwork to fill out) without any further testing, though this is not true of every state in America. For more on becoming nationally certified with the NREMT (National Registry of Emergency Medical Technicians), which is a non-governmental agency that registers and maintains a database of certified EMTs, visit NREMT.org. · You will also need to have proper CPR certification, and in many cases, have completed anatomy and physiology courses are typically required, too. Depending on the program, an ACLS (Advanced Cardiac Life Support) certification is required, as well. · One must be a high school graduate who is at least 18 years old. If you’re not a high school graduate, a GED will suffice. · Now, you will need to complete a paramedic training program. Paramedic training courses can typically be found at community colleges. An EMT-P course often provides students with a mixture of classroom and in-hospital clinical experience, as well as some field experience. · Each paramedic program requires different things from their prospective students. Immunizations are certainly required (since you’ll be getting hospital experience throughout the course), and depending on where you apply, you might also need to provide proof of citizenship. You’ll likely need to go through a criminal background check and drug screening, too. Written references may or may not be required by the school. · Michigan requires 1100 hours of training to become a paramedic. Roughly 500 of those hours are devoted to work in the classroom, while the other 600 hours are devoted to clinical training. 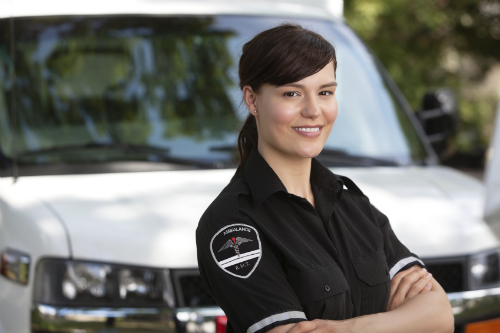 · You will want to make sure that whichever paramedic program in MI you select is an accredited program. Where can I find an accredited paramedic training program in Michigan? Make sure you visit the Commission on Accreditation of Allied Health Education Programs (www.caahep.org) to find an accredited paramedic training program. This is important, because as of January 1, 2013, all students will need to complete paramedic education at an accredited school in order to take the paramedic NREMT exam. This varies from school to school, so check be sure to check around for a program that fits you best. Typically, you don’t need EMT experience, but it’s always encouraged and some schools firmly believe that students with EMT experience are more likely to successfully pass their paramedic training course. All paramedic courses are a bit different and vary college to college. But, typically, you can expect to pay anywhere between $1,000 and $10,000 for a quality and thorough paramedic training course. Some programs can most certainly exceed that cost, however. Lansing Community College’s paramedic program, for example, can cost anywhere between $1,400 and $12,000. That cost includes course fees and textbooks, though the program cost can reach and exceed $10,000 if you’re an out-of-district student or an out-of-state student. 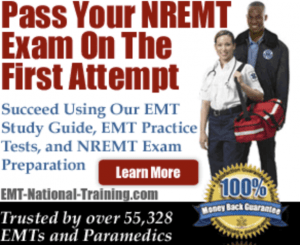 After you successfully complete the required paramedic training course, you will need to pass the National Registry of Emergency Medical Technicians (NREMT) exam. This is both a computer adaptive test (cognitive examination) as well as a skills test (psychomotor examination). In order to work as a paramedic in Michigan, students must first pass the National Registry Paramedic exam so that they can apply to the state to acquire a Michigan license. To discover more about EMT and paramedic training, please revisit our interactive homepage.